Today's businesses face a wide range of legal issues. At the outset, the appropriate business entity must be established (sole proprietorship, partnership, limited liability company, corporation, etc.). Attorney Taczak will counsel clients to create the business form best suited for the needs of the business and the individuals forming the business entity. Carefully drafted bylaws, operating or partnership agreements provide a clear understanding of the operation of the business as well as the duties and liabilities of shareholders, directors, officers or partners. The agreements should contain provisions for contingencies such as the sale of the business, the death of a partner, deadlocks and dissolution. The key to providing effective legal representation is understanding the client’s business and their goals. Disputes create risks that should be managed in accordance with those goals. Litigation is not always the best way to handle business disputes. 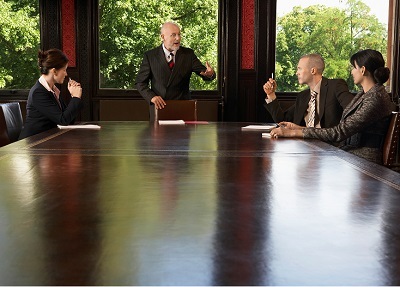 Careful counsel is required to extract the business from the dispute in a successful manner. Arbitration may be required by contract. Mediation may provide a better way to resolve the dispute. If you are involved in a business dispute, contact our offices to protect your business and your rights. Nonprofits are governed by a section of the Pennsylvania Business Corporation Law which governs traditional businesses. Nonprofit officers, directors and board members are charged with protecting the public’s interest in assets committed to charitable purposes. We can help charitable organizations navigate the legal issues to fulfill their missions and achieve their goals.